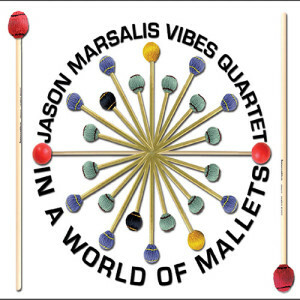 Earlier this month, I featured this provocation from drummer Jason Marsalis. … which prompted responses from several jazz musician/bloggers I know. Some agreed with Marsalis. Others repudiated his “false dichotomy.” I took a break then from wading yet again into the jazz-wars debate, but figure now I might as well step back into those murky waters again, even if I generally feel there are much more important matters for jazz-oriented people of all stripes to invest their energy in. Montreal organist Vanessa Rodrigues’ response, in which she agrees “99-per-cent” with Marsalis. What bothers me about the so called “jazz wars” (popping up online all over the places these days!) is the idea that there are two camps; the purists and modernists. I think the reality is that most people actually fall somewhere in between on the spectrum. To be quite honest, I just don’t buy the idea that a significant percentage (at least significant enough to be ranting about) of young musicians are shunning the history, abandoning melody, refusing the learn the standards, playing 30-minute solos void of meaning. Please, tell me where these people are???!!! Because in my experience studying and playing, I don’t think I’ve met one. In my opinion some of the more successful “jazz” musicians today have been able to meld the art form’s history with modern influences, to create their own unique voice. I mean, that’s what Bird did. Miles. Coltrane. Bill Evans. All of them. Let me cite five contemporary examples, off the top of my head: Brad Mehldau, Kurt Rosenwinkel, Dave Douglas, Brian Blade, Seamus Blake. All are “hip”. You can clearly hear the entire history of their respective instruments when they play. They can swing like crazy, they aren’t afraid to play a blues or in 4/4, and they also play chromatically and often in odd meters. They play standards and they also compose beautiful music. The don’t sound like anyone else, and they just happen to be some of my favourite musicians. I agree with SOME of the “essence” of what Marsalis is saying, but I think what I don’t like, and what bothers me, is the way he says it. It just seems so negative and extremist; painting a highly complex picture much too black and white. It reeks of intolerance to my ears. Saxophonists Dave Binney and Mark Turner? Drummer John Hollenbeck and his Claudia Quintet? 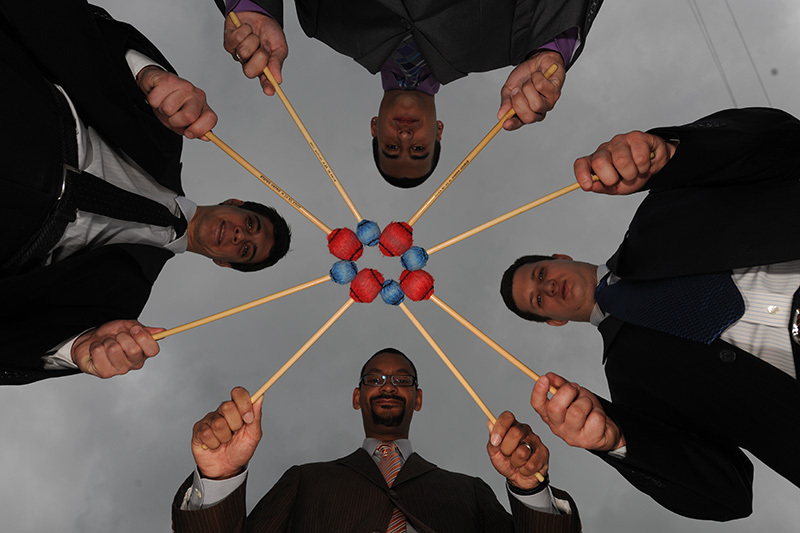 Frankly, I think if Marsalis would do better to name the alleged ringleaders of Jazz Nerds International rather than simply besmirch its rank and file — not because I would be keen on any resulting controversy, but because if he wants to be taken seriously, then he ought to move beyond a straw-man opponent. Or he should argue that his beef with mediocre students rather than the proficient pros. I also think that the impulse that Marsalis is railing against — the move beyond standard repertoire and swinging — is some years older than he is, and that this historical context ought to be kept in mind. Think of bebop nerdily extending the language of swing, Miles Davis and Bill Evans investigating the use of modes in jazz more than 50 years ago, John Coltrane investigating tone rows with Miles Mode in 1962, and for that matter, performing the kind of epic, set-long songs that Marsalis slams. These are just a few classic examples of music history’s jazz nerds in action. In other words, there were jazz nerds long before Marsalis was drumming, and there will be jazz nerds ever after, in spite of what he said. Stepping back, I side with Marsalis in affirming the value of playing music that revels in swinging, and in playing jazz standards with a whole-hearted embrace of their tradition. 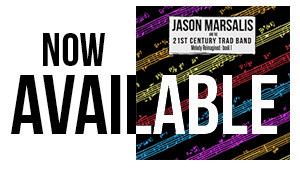 I also agree with Marsalis that jazz, however it sounds, ought to be played to connect with and move listeners (optimally, through a feeling of personal commitment, not through pandering manoeuvres). But these affirmations can be made without a simultaneous takedown against music that may not sound like the music that Marsalis makes, but may even appeal to jazz fans who don’t feel the artificial need to choose sides. This entry was posted in Articles, Press and tagged 4/4, 8th note triplet, anti-Marsalis, anti-tradition, Becky Noble, Bill Evans, Bird, blues, Brad Mehldau, Brian Blade, Charlie Parker, chromatic solos, clarinetist, Claudia Quintet, Dave Binney, Dave Douglas, drummer, false dichotomy, institutionalized jazz music, James Danderfer, Jason Marsalis, jazz blogger, jazz fans, jazz musician, Jazz Nerds International, jazz oriented people, jazz standards, jazz wars, John Coltrane, John Hollenbeck, Joshua Rager, Kurt Rosenwinkel, Mark Turner, mediocre students, Miles Davis, Miles Mode, modernists, Montreal, music dude, odd meters, organist, Peter Hum, pianist, Press, purists, rhythm nerd, Ronan Guilfoyle, Rudresh Mahanthappa, saxophonist, Seamus Blake, Steve Coleman, straight-eighths, swing music, swinging, Vanessa Rodrigues, young musicians on February 11, 2013 by abell.